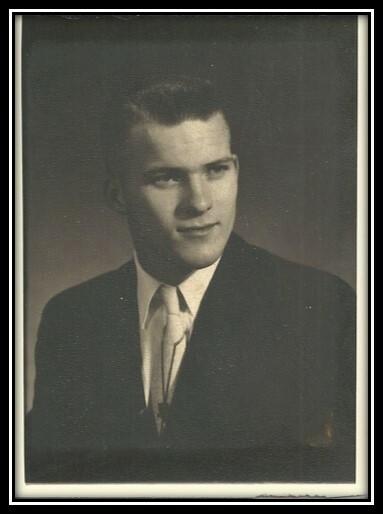 He met his future wife, Joyce Faye Staley, in Greybull, WY in 1963. On July 27, 1964 Marvin and Joyce were joined in marriage. They would continue to celebrate their union for 54 years together. Daughter, Lori Ann (Gary) Davis and their children, Brent Davis (deceased 5-22-12); Ryan (Kate) Davis and their children,Tristan and Ryane; Christopher (Hiedi) Watson, and their children, Tyler, Ryan and Bradlee; and Gary Jr. (Jessie) Davis. Daughter, Bobbie Jean (Don) Nickerson and their children, Craig (Amber) Nickerson and Amber (Travis) Hellickson and their children, Logan, Elijah and Cutler. Daughter, Penny Kay (Neil) Ivesdal and their children, Allisa (Jordy) Hondle and Cathern Ivesdal. 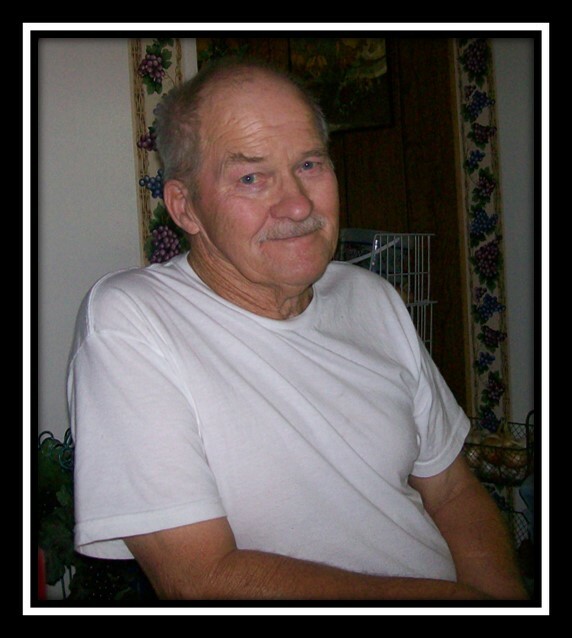 Marvin is also survived by his brother’s: Lawrence Hanson of Greybull, WY and Charles VanderPas of Billings, MT. Marvin’s early work career would take himself, his wife and his three daughters to Seattle, WA where he would work at Boeing, assembling planes as a reviter. Their nostalgia for home would return them to their Wyoming roots where Marvin would enjoy a long career working for the city and counties of Casper and Worland. 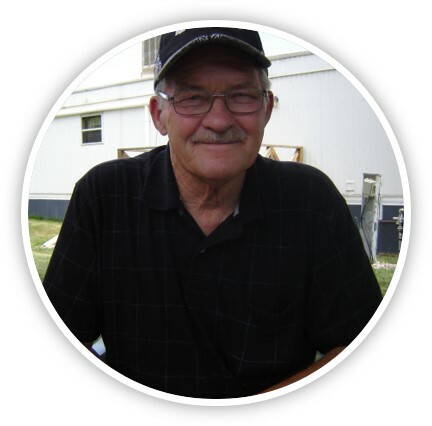 He operated numerous heavy equipment over the years, helping to maintain and repair roads and pipelines. You could catch him reminiscing stories of his work career over a hot cup of black coffee; many of which offered hilarious personal moments of his work experiences. The stories never failed to entertain his listeners…no matter how many times they were told. Marvin and Joyce would move to Gillette, WY in 1990, where he would work as assistant grounds keeper at Belle Nob Golf Course & Country Club until his retirement. 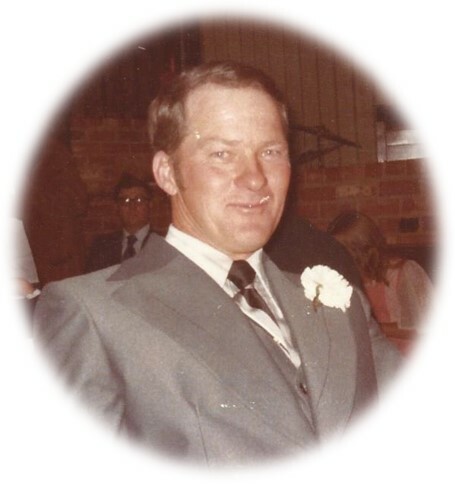 His love of the outdoors, years of heavy equipment operating, and mechanical abilities suited him well in his job duties. His hard work ethic and dedication would earn him employee of the year and the respect and admiration of management and coworkers. He was truly at home on a lawnmower whether on a fairway, putting green or at home. He would speak with pride and joy when explaining in enthusiastic detail how he converted their weeded acre lot in Gillette into the envy of their subdivision; from its manicured lawn of which he nurtured from seed to the too many to count trees, bushes and shrubs that he personally planted. A massive, canopying, weeping willow that he planted from a single sapling twig anchored the back yard, and provided a shady gathering spot for many birthday’s, fourth of July celebrations, and family get togethers over the next 27 years. Marvin’s green thumb didn’t stop short of his beautiful yard. He and Joyce planted an annual garden that not only provided them with a bountiful harvest every year, but for many family, friends and neighbors, as well. The love of gardening would provide many hours and years of hard work and joy. It wasn’t always about hard work. Marvin and Joyce loved the mountains. Loved camping. And loved to fish. These three loves would provide them, their daughters, and their daughters families many enjoyable memories. The Big Horn Mountains, Meadowlark, Pathfinder, Jackson and Yellowstone Park were a few locations that hold special memories. Anyone who knew Marvin was sure to know about Old Blue. And for those that didn’t, he was more then willing to share the endless stories of joy that this 1959 Chevrolet Apache provided to him and his family. If Old Blue could talk, he would tell you that long before Marvin owned his popup and pull-behind campers, that he provided a spot to rest their heads at the end of a day of fishing. He would share with you that he was the source of driving entertainment and training vehicle for three young Hanson ladies. And as the girls grew older and had families of their own, he would provide them assisted transportation when needed. Like an aging stud horse Old Blue found his services no longer needed and was put out to pasture…until gifted to one of Marvin’s granddaughter’s and husband, who would work to breathe new life back into his aging old body. Marvin enjoyed reading. You could usually find a dogged eared Louis L’amour western laying around. He could never watch too many western movies. It’s very possible that he could have unofficially been entered in to the Guinness Book of Records for viewing of Quigley Down Under…by far one of his favorites. He enjoyed playing golf but found that most of his days were occupied by ensuring that others had a beautiful course to play on in one of the top-rated courses in Wyoming. He enjoyed keeping up with golf tours on TV…one wonders if his fascination wasn’t so much with the game itself but the immaculate and gorgeous courses in which they played on. And there were always endless hours of Liverpool Rummy that’s instilled in the hearts and memories of his family. You could always find a puzzle in the making; out in the garage in the summer or in the house on the kitchen table or card table in the winter. Some constructed more than once…maybe only 1 or 2 eluded his master puzzle skills. Marvin wasn’t one to set idle. He was always busy building or tinkering with some project. His self-taught construction abilities erected many a deck and storage structures. If you didn’t catch him physically building a project you knew he was working on one inside his mind – one can only imagine the lavished landscaped yards, engineered decks, man-cave workshops and garages that were constructed inside his head. He was mechanically inclined – not one afraid to tear into something to see how it worked…or why it wasn’t. Marvin and Joyce inherited his brother Bob and wife, Linda’s little dog, Zoe after Linda passed away. They had assisted Linda with doggy-day-care while she was still alive. They had built a strong bond during this period, so Zoe’s future, permanent home was like…coming home. You could say that they now had four daughters. Marvin and Joyce’s health would have them move closer to family in Dickinson, ND in 2017. His new home’s landmass, although smaller than what they left behind in Gillette offered the same blank canvas that his Gillette homestead did at its beginning. Marvin’s mind quickly went to work in designing the landscape of his new home. He planted numerous trees and bushes that will one day mirror the image of what they left behind in Wyoming. Their health no longer allowed them to plant and tend to a garden of their own, so they gardened vicariously through their daughter Penny’s enormous garden patch; enjoying its rewards like it was their own. Marvin enjoyed his new home and was finally glad to have a garage and workshop area that allowed him his man-cave space. Contouring the landscape and over-seeding the yard was a project of passion in 2018. He was looking forward to seeing how his grass seed would come in this coming season. And just as important, was to have the row of dead and dying trees along one curbside removed. That didn’t happen in 2018, but it is a summer project that his family hopes to see through fruition this summer. Marvin loved to eat…He would say ‘my mother in-law said she loved to cook. I told her, I love to eat, so you better get in there a start a-cook ’n’. He would often brag on Joyce’s cooking skills, so when the subject of food would come up, which it often did, he would describe eating some of his favorite dishes that she cooked with such food lust that you almost caught yourself salivating with him…he enjoyed eating! He was a simple man who loved his wife and family above all. He had a great sense of humor. He embraced the loving moniker of Messy Marvin and would be first to laugh at himself because of its reality. He was most comfortable outdoors whether it be at work or enjoying a day off at home in the yard or garden. His skin, bronzed by the many hours of summer sun and callus hands, were testament to his love of the outdoors. If you were willing to rise early enough to catch the rising sun you would find him soaking up its warmth on his front porch with a hot cup of black coffee. Marvin was taken from us too soon…so many unfinished life stories – grandchildren’s’ graduations and weddings, family holiday’s and vacations, construction and landscape projects, un-played card games, visits on the front porch or deck, un-eaten deserts, missed hugs and kisses, his laugh, his voice, his company. He will be watching down upon us from above, most likely while sitting on a John Deer tractor as he mows some heavenly fairways. Forever in our hearts and memories…always. Please go to Marvin's Tribute Wall to sign the online guestbook and share memories with his family.